Haines City – Alvin Eugene Booher Jr., 70, passed away March 27, 2019 surrounded by his family. Born November 9, 1948, in Ocala, FL to Alvin Eugene Sr. and Mildred Lucille Booher. He served proudly and honorably in the United States Air Force as a Tech Sergeant serving two tours in Vietnam/Thailand. He retired after 20 years of service for his Country. After retiring he perfected many crafts, but loved spending his time most with his family and animals. Every morning started with Alvin sharing a cup of coffee with his dogs. Alvin also enjoyed old cars, motorcycles, fishing, camping, and working in his garden. He is survived by his loving wife, Lori; sons, Benjamin Eugene Booher (Vanessa) and Joshua David Booher; daughters, Tereasa Ann Booher, Andrea Marie Booher (David DeMumbrum) and Selma Alexis Booher (Kyle Wells); brother, John Smith (Connie); sisters, Jeane Booher Beauregard and Patricia Booher Harden (Leo); grandchildren, Evangeline Riley and Jordyn Paige, and many nephews and nieces. Alvin also had his honorary children, Erik Santiago, Thomas Whitfield, Keith Rentz and Taylor Patterson, among many more. 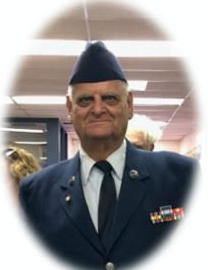 Funeral service will be 2:00 p.m., Sunday, April 7, 2019, at Countryside Funeral Home, Anthony, FL, Interment will follow in Woodlawn Cemetery Ocala, FL with full military honors. Arrangements are under the care of Countryside Funeral Home, Anthony, FL.